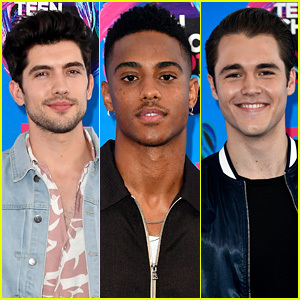 ‘Famous in Love’ Hotties Carter Jenkins, Keith Powers, & Charlie DePew Attend the TCAs 2017! | 2017 Teen Choice Awards, Carter Jenkins, Charlie DePew, Famous in Love, Georgie Flores, Keith Powers, Niki Koss, Pepi Sonuga, Perrey Reeves, Teen Choice Awards | Just Jared Jr.
'Famous in Love' Hotties Carter Jenkins, Keith Powers, & Charlie DePew Attend the TCAs 2017! 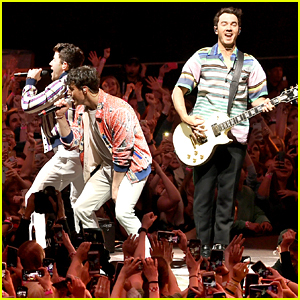 It doesn’t get much hotter than the hunky stars of Famous in Love and they all hit the carpet at the 2017 Teen Choice Awards held at USC’s Galen Center on Sunday (August 13) in Los Angeles. 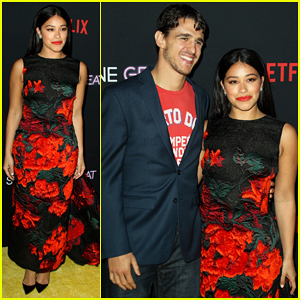 Carter Jenkins, Keith Powers, and Charlie DePew were joined at the event by their lovely leading ladies Pepi Sonuga, Niki Koss, Georgie Flores, and Perrey Reeves. 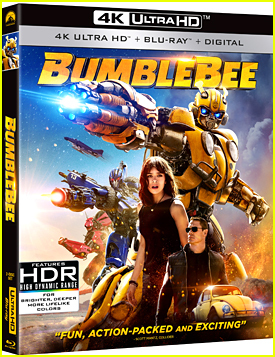 Stay tuned for a post on star Bella Thorne! 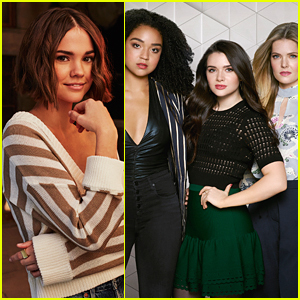 Famous in Love is nominated for Choice Drama TV Show and Choice Breakout TV Show this year. Bella is also up for Choice Drama TV Actress alongside the five leading ladies from Pretty Little Liars. FYI: Carter is wearing a Cotton On Denim jacket, a Diesel shirt, Levi’s jeans, and AllSaints boots. Georgie is wearing an Alice McCall dress, Stuart Weitzman shoes, and Jacquie Aiche jewelry. Perrey is wearing a Dhela top and skirt. Pepi is wearing a Lie Sang Bong dress. Niki is wearing a PrettyLittleThing outfit. 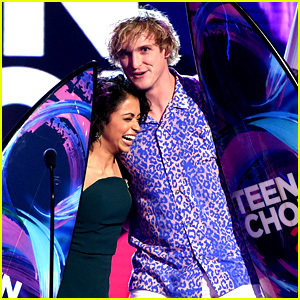 Logan Paul & Liza Koshy Are the Top Web Stars at Teen Choice Awards 2017! 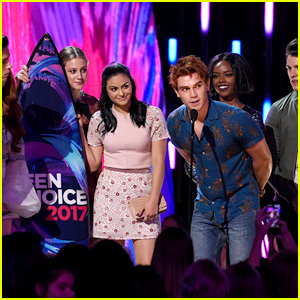 Teen Choice Awards Winners 2017 - Full List Revealed! Bella Thorne & Boyfriend Blackbear Couple Up at Teen Choice Awards 2017! 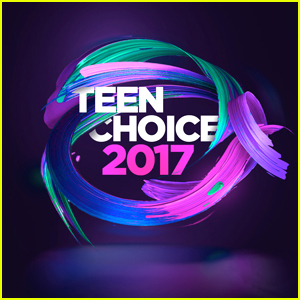 Superhero Stars Grant Gustin & Melissa Benoist Both Win at Teen Choice Awards 2017! 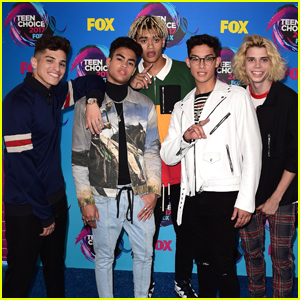 PRETTYMUCH Conquer Their First Teen Choice Awards 2017! 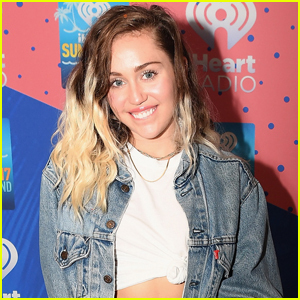 Miley Cyrus Had A Good Reason For Missing the Teen Choice Awards!